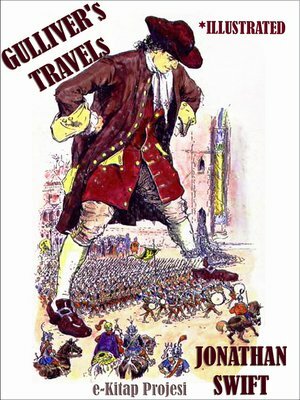 The book begins with a short preamble in which Lemuel Gulliver, in the style of books of the time, gives a brief outline of his life and history before his voyages. He enjoys travelling, although it is that love of travel that is his downfall.During his first voyage, Gulliver is washed ashore after a shipwreck and finds himself a prisoner of a race of tiny people, less than 6 inches tall, who are inhabitants of the island country of Lilliput. After giving assurances of his good behaviour, he is given a residence in Lilliput and becomes a favourite of the court. From there, the book follows Gulliver's observations on the Court of Lilliput. He is also given the permission to roam around the city on a condition that he must not harm their subjects. Gulliver assists the Lilliputians to subdue their neighbours, the Blefuscudians, by stealing their fleet. However, he refuses to reduce the island nation of Blefuscu to a province of Lilliput, displeasing the King and the court. Gulliver is charged with treason for, among other "crimes", "making water" in the capital (even though he was putting out a fire and saving countless lives). He is convicted and sentenced to be blinded, but with the assistance of a kind friend, he escapes to Blefuscu. Here he spots and retrieves an abandoned boat and sails out to be rescued by a passing ship, which safely takes him back home. This book of the Travels is a topical political satire.